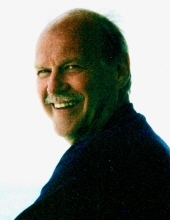 Thomas Janssen, of Milford, passed away while in the loving care of his family on March 24, 2019. He was 78 years old. He is survived by his loving wife Margaret (Stacey), nee Stasiewicz, of 49 years; children, Jennifer (Steven) Doyle, and Eric Janssen; grandchildren, Kaitlyn and Colin Doyle; siblings, Richard “Tip” Janssen, and Sue Marden; brothers-in-law, Thomas Stacey, Jack Ambrose, and Joe Hancock; godson, Calder Lachance; also many extended family members, dear friends and loyal customers. Thomas was owner and operator of Janssen Carpet Cleaning for over 40 years. Thomas is preceded in death by sisters-in-law, Sandra Stacey, Pat Ambrose, and Terry Hancock and brother-in-law Roy Marden. Visitation will be held at, Lynch & Sons Funeral Home, 404 E. Liberty St. on Thursday, March 28th, 2019 from 3 - 8pm. A Rosary Service will take place at 7 PM. Funeral Mass will take place at, St. Mary’s Catholic Church, 1955 E Commerce St., Milford, MI 48381, on Friday, March 29th, 2019 at 11 AM with gathering beginning at 10:30AM. Memorial Contributions can be made to St. Jude’s Children Hospital or Encouraged to the family. For further information phone 248-684-6645. "Email Address" would like to share the life celebration of Thomas Janssen. Click on the "link" to go to share a favorite memory or leave a condolence message for the family.